*A Novus Ordo Missae celebrated according to the 1969 typical edition would look very similar to the traditional Roman Rite, with the celebrant saying most (if not all) the prayers in Latin, facing the tabernacle and wearing the traditional Mass vestments, with a male altar server, and Gregorian chant, etc. None of the current abuses, e.g., Communion in the hand, Eucharistic Ministers, liturgical dancing, guitar-masses, etc., have part with this official form. Hence, the aforementioned cardinals’ (as well as the SSPX’s) critique of the Novus Ordo Missae is not of its abuses or misapplication, but rather of its essential and official form. This entry was posted in Church crisis, Novus Ordo and tagged Crisis in the Church, Novus Ordo on July 11, 2018 by damselofthefaith. Paul Claudel, French poet and writer, laments the growing implementation of the Novus Ordo and its dangerous effects for the life of the faithful and the Church, in 1955, long before the Novus Ordo was officially forced upon the Church. Words to heed and reflect upon. I wish to protest with all my strength against the growing practise in France of saying Mass facing the people. The most basic principle of religion is that God holds first place and that the good of man is merely a consequence of the recognition and the practical application of this essential dogma. The Mass is the homage par excellence which we render to God by the Sacrifice which the priest offers to Him in our name on the altar of His Son. It is us led by the priest and as one with him, going to God to offer Him hostias et preces [Victims and prayers]. It is not God presenting Himself to us for our convenience to make us indifferent witnesses of the mystery about to be accomplished. The novel liturgy deprives the Christian people of their dignity and their rights. It is no longer they who say the Mass with the priest, by “following” it, as the saying very rightly goes, and to whom the priest turns from time to time to assure them of his presence, participation and cooperation, in the work which he undertakes in their name. All that remains is a curious audience watching him do his job. Small wonder that the impious compare him to a magician performing his act before a politely admiring crowd. It is true that in the traditional liturgy the most touching, the most moving part of the Holy Sacrifice is hidden from the view of the faithful. But it is not hidden from their hearts and their faith. To demonstrate this, during Solemn High Masses the sub-deacon stays at the foot of the altar during the Offertory, hiding his face with his left hand.We too are invited to pray, to withdraw into ourselves, not in a spirit of curiosity but of recollection. In all of the Eastern rites the miracle of transubstantiation takes place unseen by the faithful, behind the iconostasis. It is only afterwards that the celebrant appears on the threshold of the sacred door, the Body and Blood of Christ in his hands. A vestige of this idea lingered for many years in France, where the old missals did not translate the prayers of the canon. Dom Guéranger protested energetically against those who had the audacity to do away with this custom. Today’s deplorable practice has turned the ancient ceremony upside down, to the great consternation of the faithful. There is no longer an altar. Where is it, this consecrated stone which the Apocalypse compares to the Body of Christ Itself? There is nothing but a bare trestle covered with a tablecloth, reminding usdepressingly of a Calvinist workbench. Naturally, as the convenience of the faithful was held up as the guiding principle, it was necessary to rid the aforementioned table of the “accessories” cluttering it up: not only the candlesticks and the vases of flowers, but the tabernacle! The very crucifix! The priest says his Mass in a vacuum!When he invites the people to lift up their hearts and their eyes…to what? There is no nothing left in front of us to focus our minds on the Divine. If the candlesticks and crucifix were kept, the people would be even more excluded than in the old liturgy, because then not only the ceremony but the priest himself would be completely hidden from view. I would resign myself to this situation with the greatest grief, as henceforth, it would appear that not the slightest spiritual effort will berequired of the common people. It seems necessary to stick the most sublime of mysteries in their faces, to reduce the Mass to the primitive form of the Last Supper and in doing so, change the entire ritual. What is the meaning of Dominus vobiscum [The Lord be with you] and orate fratres [pray brethren] spoken by a priest separated from his people and requiring nothing of them? What is the significance of the sumptuous vestments worn by those we have delegated as ambassadors to the Divinity? And our churches, is there any reason to leave them as they are? This entry was posted in Church crisis, Novus Ordo and tagged Crisis in the Church, Novus Ordo on August 1, 2017 by damselofthefaith. This is nothing more than the celebration of Protestantism in the Church, which is nothing new for it has been ongoing for the past half century, of course. The Novus Ordo Mass was concocted to please the Protestants, to undermine the sacrificial aspect of the Mass, and to outright remove it. 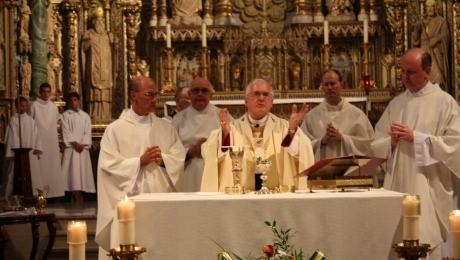 We are asked so often – what is wrong with the New Mass? The difference between the Novus Ordo and the Traditional Latin Mass is not a matter of insignificant detail. All that is of the utmost importance, for every detail in the Traditional Latin Mass has profound meaning behind it, is not given any place in the Novus Ordo. Gone is the prayers at the foot of the altar, the genuflections, the sacrificial aspects of the Mass, the mention of sin and damnation, kneeling for God in Holy Communion, etc. The following summary is attributed to the Priests of Campos. If this information is true, it must have been made before 2002 when the ensemble of those Priests, under the leadership of Bishop, Fernando Rifan, accepted the New Mass and Vatican II. The asterisk at the end of a number indicates that the same reason was given in a letter written by Cardinal Alfredo Ottaviani and Cardinal Antonio Bacci to Paul VI dated Rome, September 25, 1969. Thus, we see 6 qualities of the Novus Ordo – ecumenical, antiquarian, community-based, democratic, desacralized, and Protestantized. 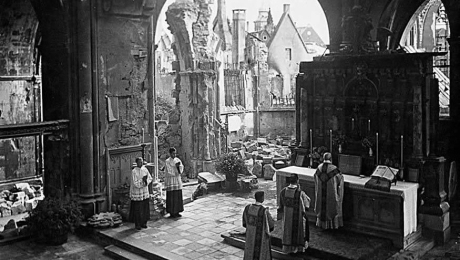 By refusing the Novus Ordo, we cling to the Mass and the Faith of our forefathers. We know we cannot go wrong with that. If we claim that this is wrong today, we make God into a liar, for saints and sinners alike practiced the same Faith and prayed the same Mass for generations, with the assurance that they were pleasing God. But, alas, today, it is not about pleasing God, but pleasing man. 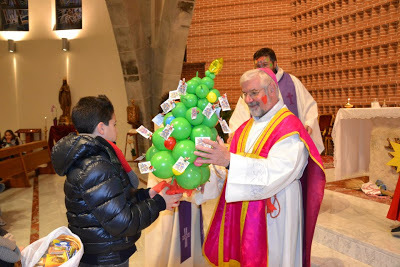 If any quality applies to the the Novus Ordo, it is this – The Novus Ordo makes the pleasure of the people its liturgy. Our Lord Jesus Christ is thrown off to the side, trampled underfoot and ignored so that the people can be Jesus. 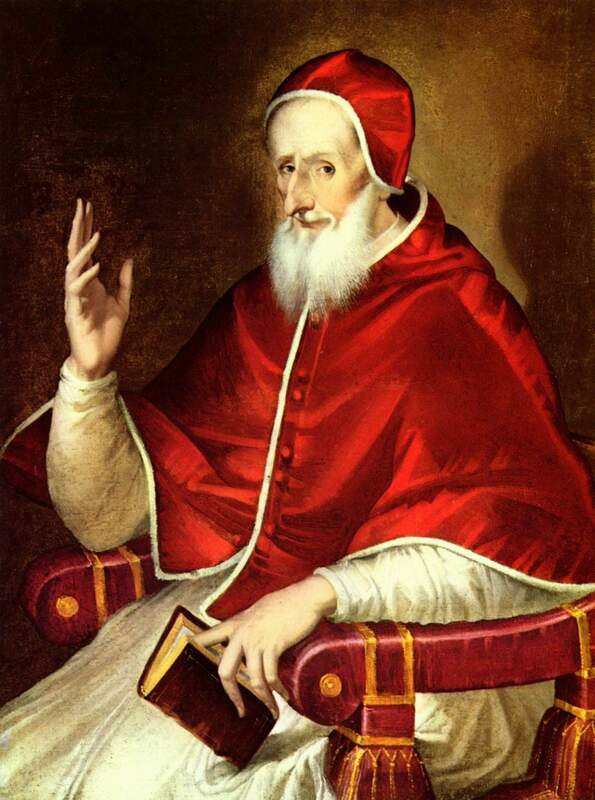 How long until the Pope recognizes that we must no longer hear of the rights of man, but instead of the rights of God? Do not “celebrate” the Anniversary of this Mass. Call it out for what is it, Protestantism in the Church. It is time to rid the Church of it, for Her own good. What was not broken, did not need to be fixed. The unchangeable Catholic Faith and Mass never needed to be fixed and updated, for truth does not change. What peace and love would there be in the world and the Church if the people returned to the true practice of the Faith and the Traditional Latin Mass. This is what we must fight for. We must fight for the return of our Faith to all souls for their salvation. We must fight against anything that might hinder or undermine this, including the Novus Ordo. It is our duty. Please God, we will remain faithful to the Mass that we know and have the assurance pleases God – the Traditional Latin Mass. Love of the Traditional Latin Mass is love of Heaven, of which the True Mass is a foretaste. To love the Traditional Latin Mass is to desire heaven, to desire salvation. Long live the Traditional Latin Mass, the True Mass of the Roman Rite! May the Mass triumph in the end, as has been promised and may she be restored gloriously in the sight of the whole world, for the rejoicing of the saved and the indignation of the reprobate. This entry was posted in Church crisis, Novus Ordo and tagged Crisis in the Church on February 4, 2015 by damselofthefaith.